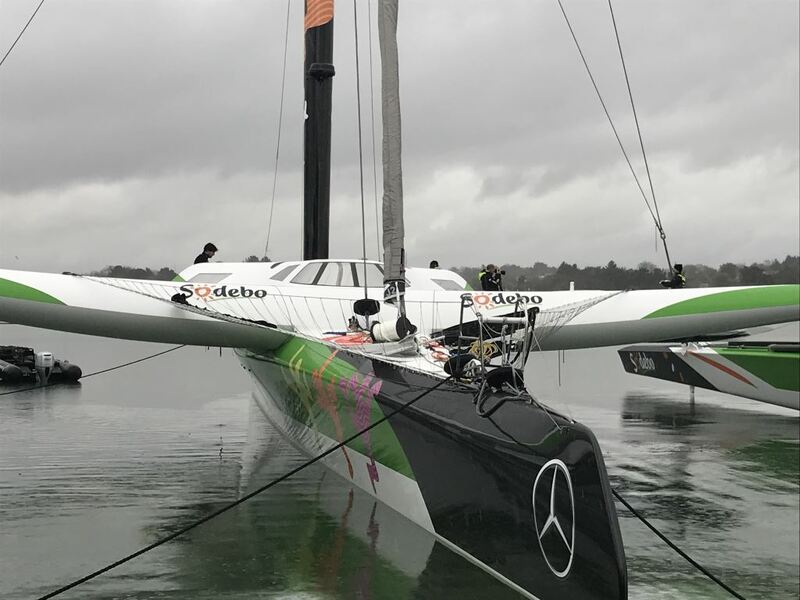 Most of you would have watched the launch of the new giant trimaran Sodebo Ultim3 last month in Vannes, after 18 months of work in the Multiplast yard also based in Vannes, Brittany. Thomas Coville and his team opted for a very different design this time, placing the cabin and cockpit in front of the mast. The brief was to center the weights and also to lower the center of gravity, which allows to fit a massive boom very close to the deck. It has been an interesting project for the Wichard Group as both Lorima and Facnor have been working on the new design with Thomas Coville. 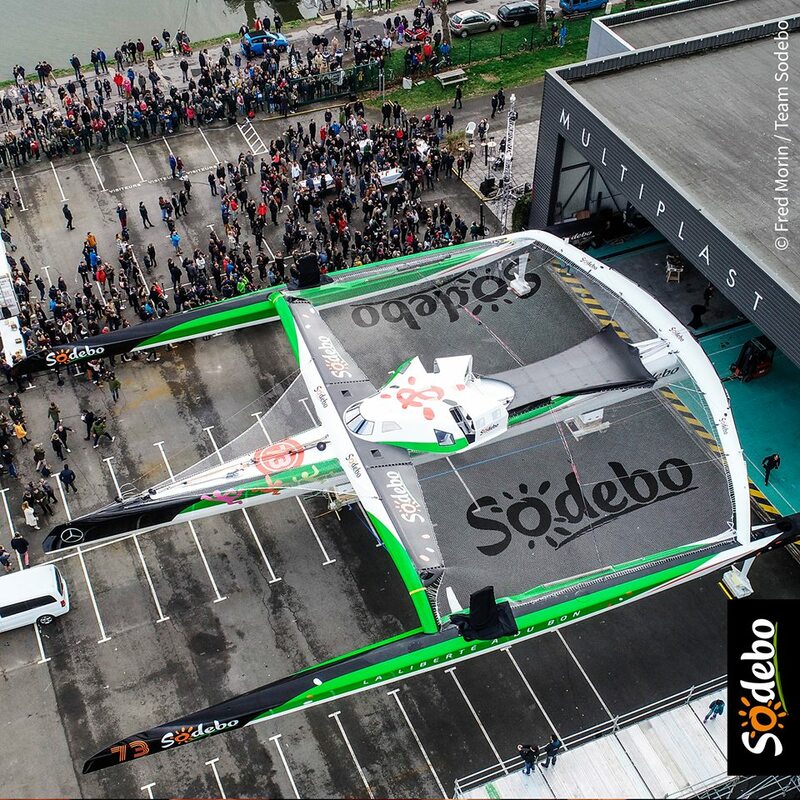 There is a strong loyalty as Facnor & Lorima were also part of the previous projects for Team Sodebo. 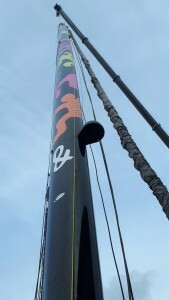 The Lorima carbon mast is 34 meters tall, rotating of course, and able to cant to each side. 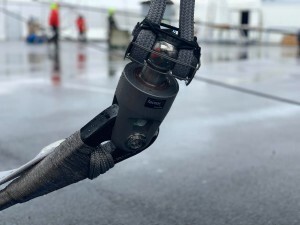 The mast can take a compression of up to 65 tonnes. The boom is 10,43 meters long and can be lifted by two people ! Facnor supplied furlers for the J0,J1,J2,J3 with working loads ranging from 20T to 35T. The J2 being structural, it holds the mast. Mainsail area is 277sqm. 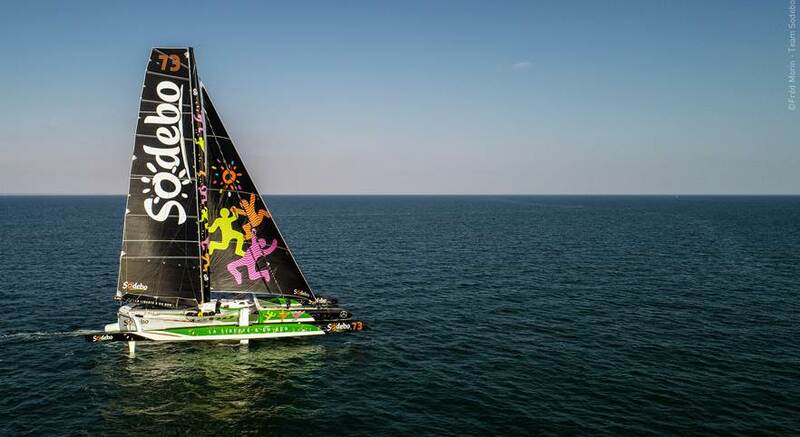 The boat is projected as a foiler and to reach speeds of 45 to 50Kts, quite impressive considering that it is a 120′ trimaran sailed by one person only.  Thomas Coville will try to beat the round the world record again soon…we wish him the best of luck!